The cardigan pictured here is knit with Blue Sky Alpacas Skinny Cotton on a US 5 (3.75mm) needle. 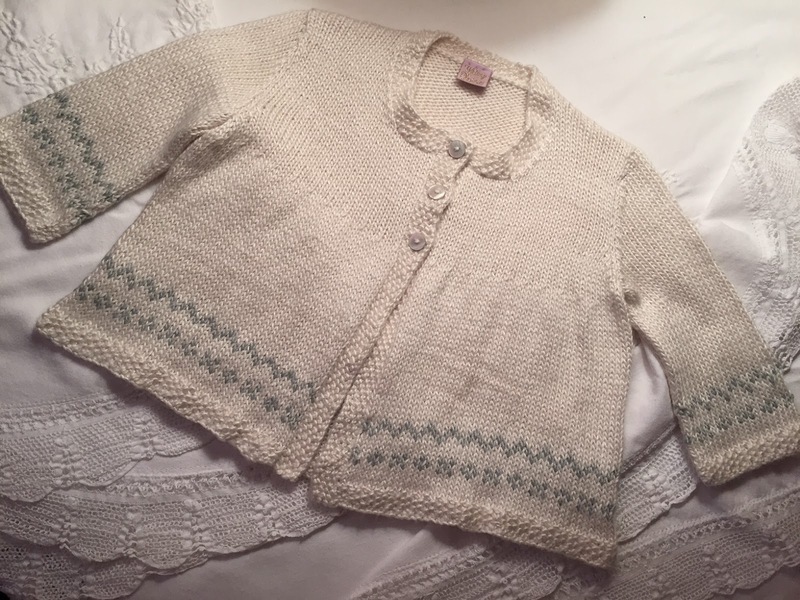 I'm using Louisa Harding's Grace, 50/50 wool and silk, that I bought on sale last spring and on sale again this year in the link below. It's a beautifully soft yarn, comfortable next to the skin on cool summer nights, and cosy for layering in the colder months. 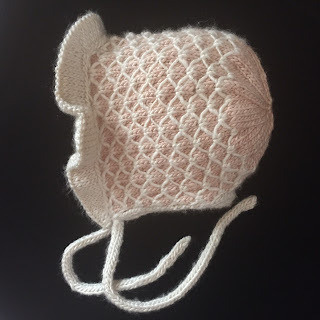 I used Grace here to design my "Criss Cross Applesauce" bonnet pattern. 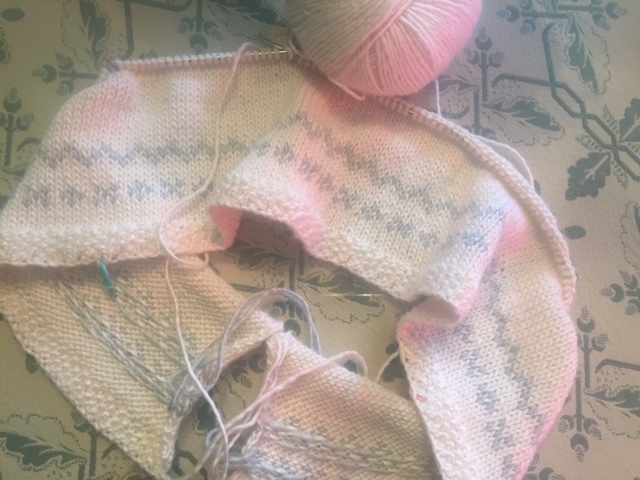 The sweater pattern calls for knitting the fronts and backs separately on straight needles, but I decided to knit the body as one, back and forth on a US 7 circular needle, lots less sewing up, and the Faire Isle pattern flows without a jagged interruption. I have placed markers for the underarm and eventual trapeze swing shaping (decreases). The neck and button bands are picked up separately and knit as the hem in seed stitch. I'm planning to use three pewter buttons, if they are not too heavy. Well, here it is, a while later with three pearl buttons and knit in wool and silk. I wish I had known about the Norwegian knitting thimble when I was knitting it. 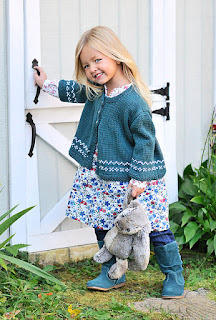 You can find the pattern here on Blue Sky Alpacas site or on Ravelry, "Cotton Sweet Cardi." It's pricey, but one you will use more than once, for sure. Louisa Harding's "Grace" is now on sale at WebsYarn, half price.